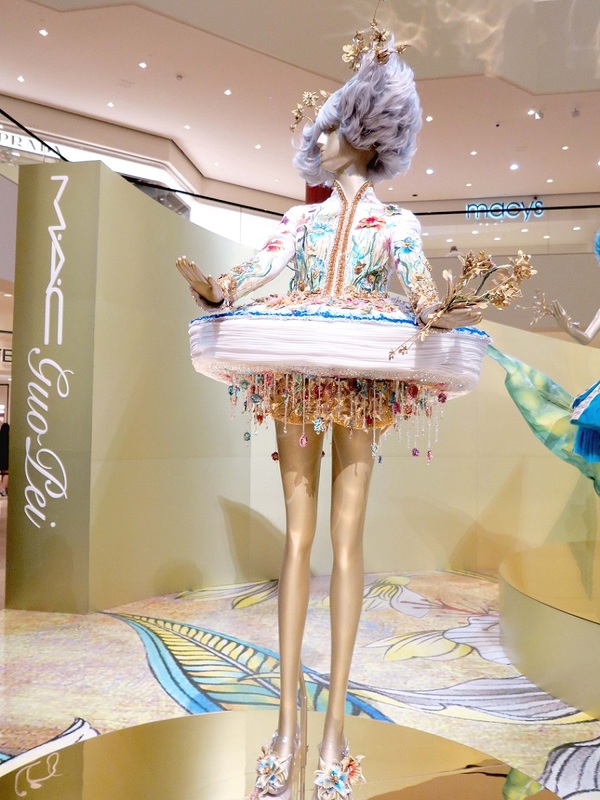 Last year it was the Heirloom Mix collection (HERE) and this season MAC Cosmetics teamed up with Chinese designer Guo Pei, more lately known for her popular yellow dress she created that Rihanna recently wore to the Met Gala (HERE). 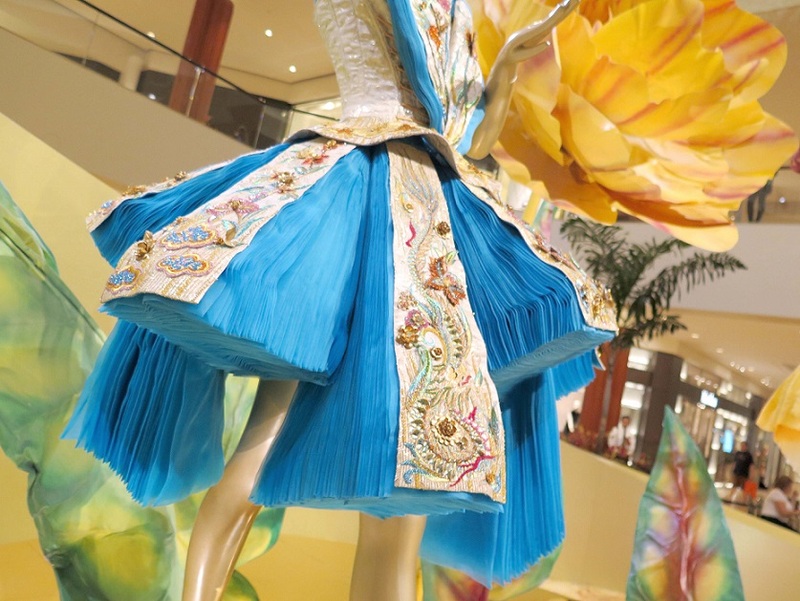 Just last week South Coast Plaza held a special exhibit at the jewel courtyard featuring 4 (out of 9) of Guo Pei's haute couture collection from Thursday, October 1st to Sunday, October 4th. 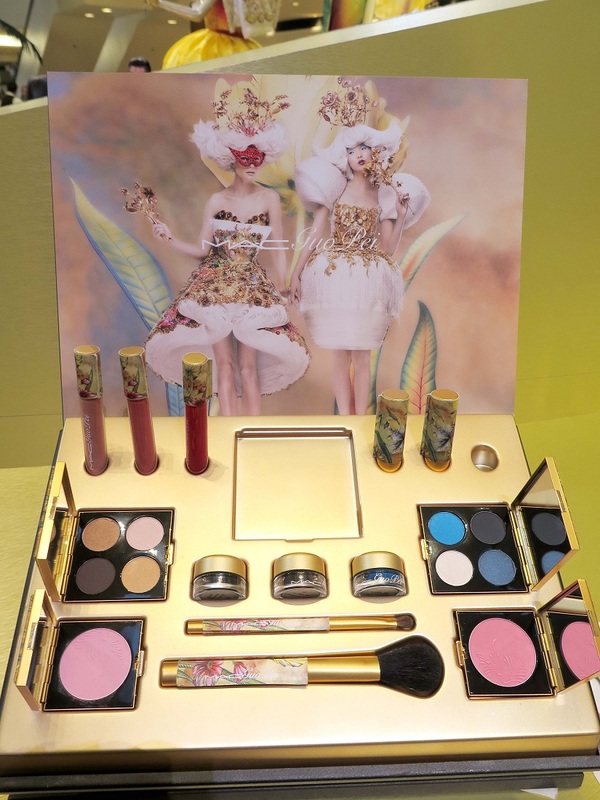 Her "Garden of the Soul" collection, featuring the signature yellow floral print, inspired this limited-edition collection with MAC Cosmetics with prices ranging from $17.50-$70.00 (shop it HERE). 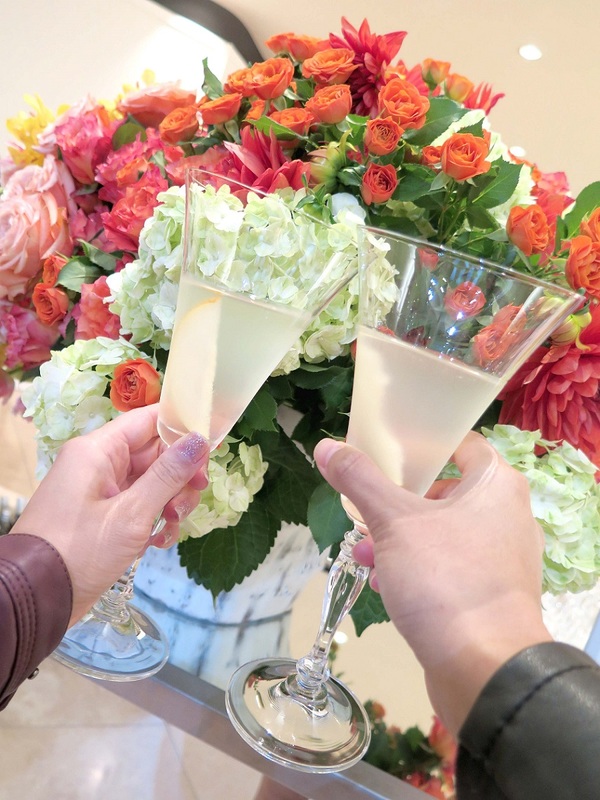 I got to attend their VIP cocktail event and see the one-of-a-kind dresses up close and personal. And let me tell you - they were so amazing! 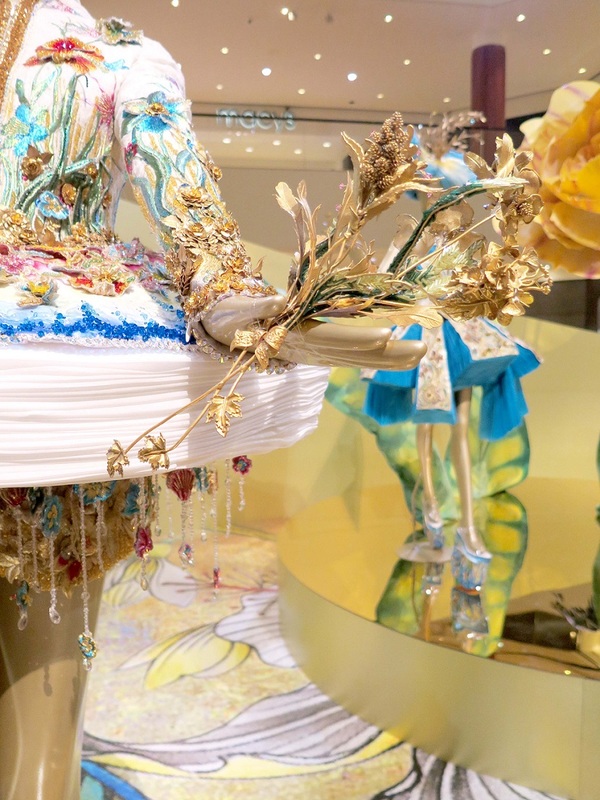 With swarovski crystals, vibrant colors, and intricate details (even to the shoes and gold-dipped flowers), you could sense the all the hard work and creativity that went into each piece. As an occasional designer myself, I love and appreciate seeing talented work. 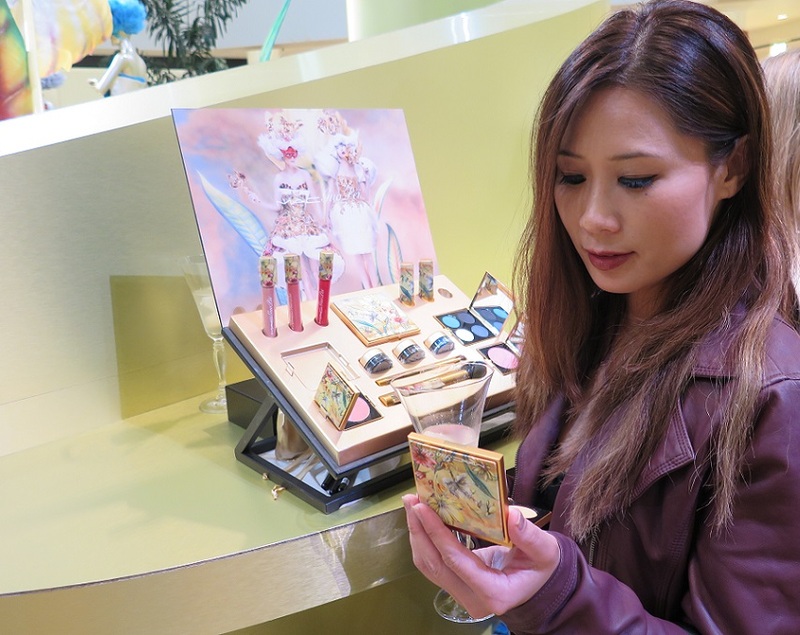 My friend Tiffany and I even got our makeup done using the new MAC Cosmetics x Guo Pei collection. We both tried colors from the eye shadow palettes, blush, and lip sticks/gloss. Who doesn't love to get a little glam right? 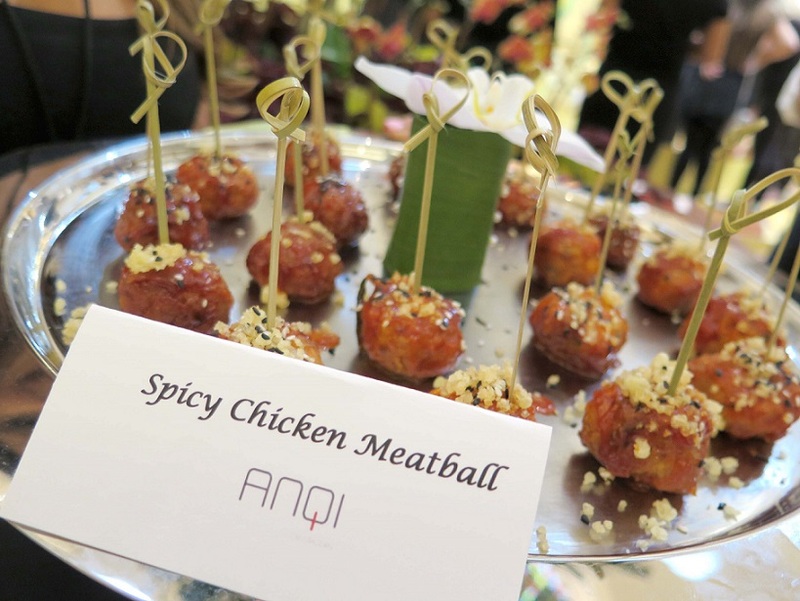 The event also had catering from AnQi Restaurant, which is located inside South Coast Plaza, and a beverage bar (their pear cocktail was super delicious, by the way). 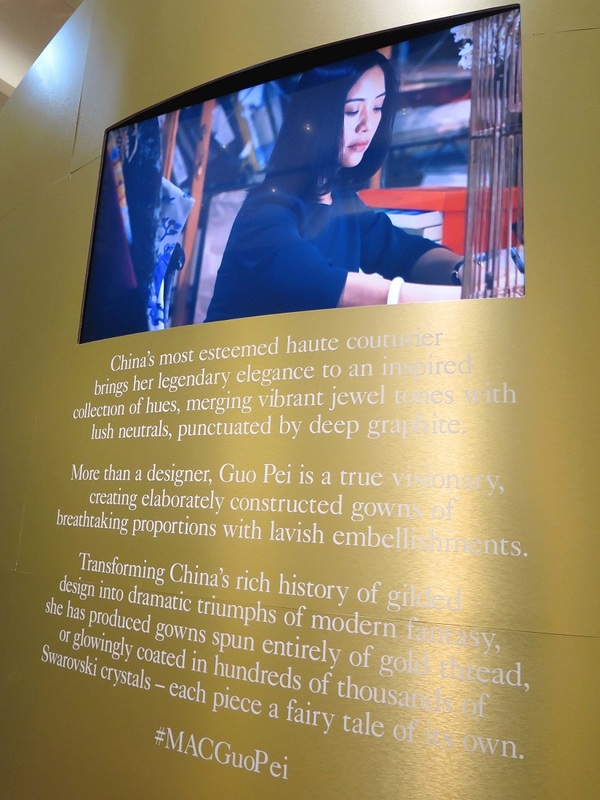 This was the only U.S. exhibit featuring Guo Pei's international designs to the public (unfortunately, it just ended) but if you missed it, have no worries, you can still see below for snapshots of its incredible beauty and craftsmanship. 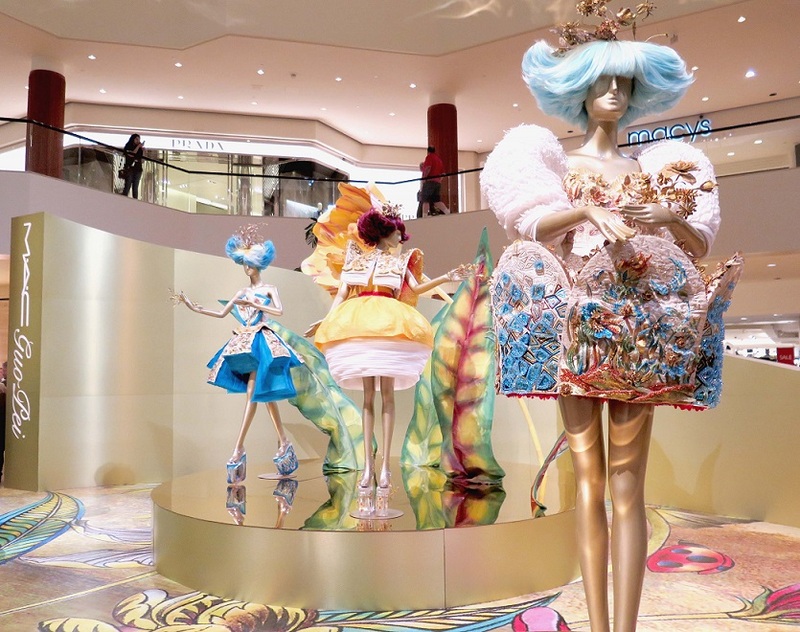 What is your favorite art-inspired haute couture gown below? 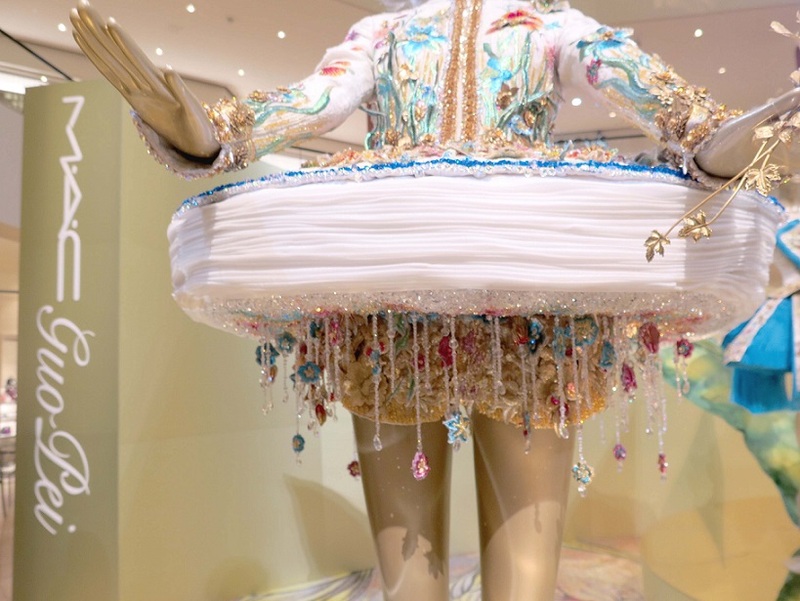 I really liked the dress with the swarovski crystals under the skirt! I mean, how mind-boggling is that?! 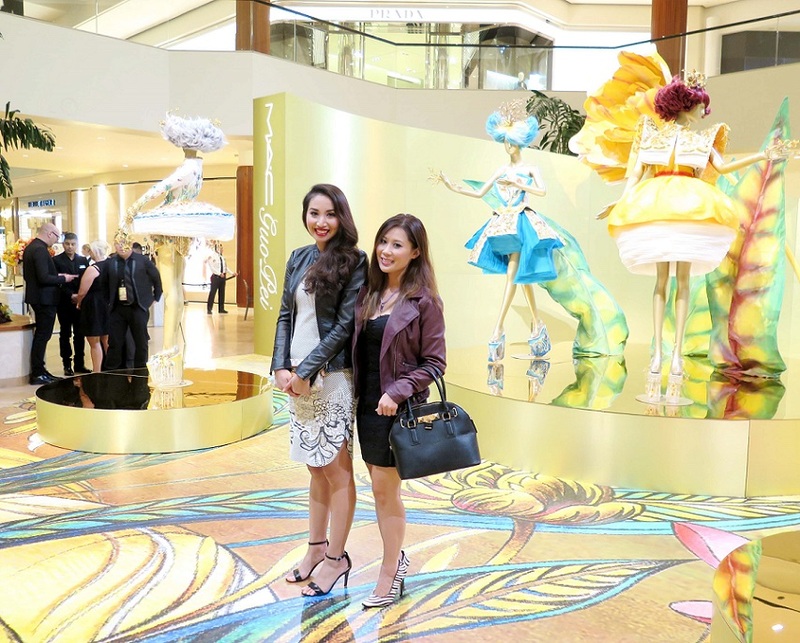 ***THANKS to PMK*BNC and South Coast Plaza for a great time and the VIP experience!